As part of its year-long “Celebration of Women in Film and Arts” that kicked off with our 2018 Festival the Flickers’ Rhode Island International Film Festival (RIIFF) is proud to announce the Winifred E. Brownell Scholarship Fund that is geared specifically for students at the University of Rhode Island. Applications are now being accepted and have a Tuesday, June 1, 2019 deadline. The Scholarship finalists will be introduced on August 6th at The Vets during the Festival’s Opening Night Gala with an award winner announcement on Sunday, August 11th at the Annual Filmmaker's Award Ceremony. 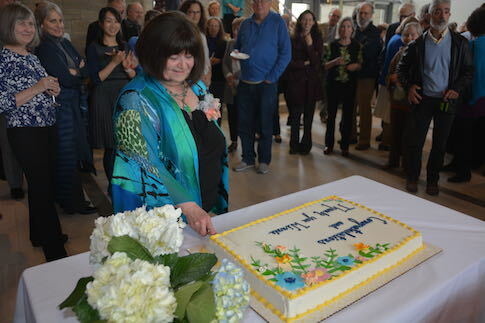 Named after the recently retired Dean of the URI College of Arts and Sciences, Dr. Winifred E. Brownell, the scholarship pays recognition to her career championing the arts and humanities at the University of Rhode Island. The annual award is for $2,000 and will be presented without restrictions, allowing the winner to use the money as they see fit for their education. In working closely with Dr. Brownell to develop the scholarship, it was determined that it will be awarded to students newly enrolled or attending the University of Rhode Island. Applicants will be expected to meet requirements that demonstrate artistic talent and an ambition to strive for excellence. Additionally, applicants can matriculate in any arts discipline at the University. 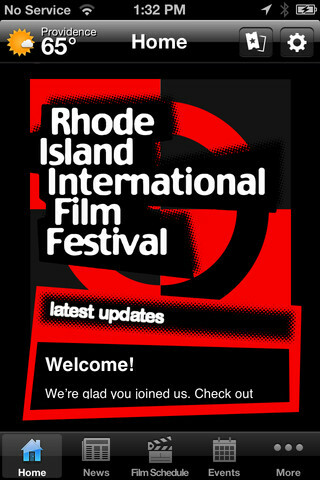 According to George T. Marshall, Executive Director and Founder of the Flickers Arts Collaborative, the non-profit that produces the Rhode Island International Film Festival, “Our central desire behind creating and awarding this scholarship is to celebrate and perpetuate the 46 year legacy at the University of Dean Brownell – affectionately known as ‘Winnie’ by all who know her. Over the course of her career she touched so many young lives and inspired a passion for learning and a pursuit of personal excellence. “Dr. 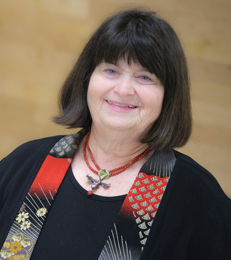 Brownell, is a groundbreaking educator and Dean Emerita of the Arts and Sciences at the University. Her visionary work propelled the University to become a leading hub for film media studies and nurtured the Rhode Island Film Festival during its infancy, spurring it to become the internationally acclaimed event that it is today. “Flickers has made a yearly financial commitment of $2,000 to underwrite scholarship and will be encouraging community and alumni contributions to expand the number of awards given in the future. 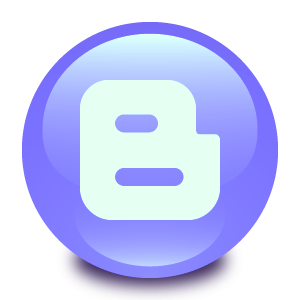 To that end, we have established a dedicated account. •	Deadline for the application and all support materials is: June 1, 2019. •	The $2,000.00 Winifred E. Brownell Scholarship will be awarded through the Harrington School of Communication to a student who is a senior in high school (any high school or “homeschooled”) who has been enrolled at the University of Rhode Island, or any student at the University of Rhode Island in rising sophomore, junior, or senior standing. •	He/she excels in an area or areas of the Arts including but not limited to: fine arts, visual arts, (illustration, graphic design, multimedia, film), performing arts, the literary arts (creative writing, poetry), music (performance, composing), theatre. Other “sub-genres” may also be considered. •	The Arts applicant must have been accepted to a post-secondary arts program in one of the Arts areas outlined above.